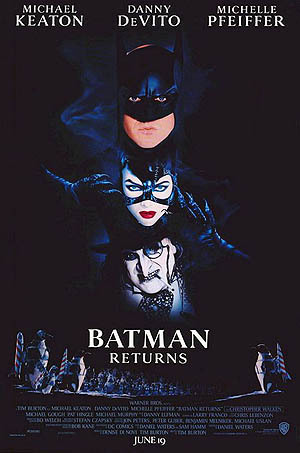 Batman Returns is a 1992 superhero film directed by Tim Burton. Based on the DC Comics character Batman, the film is a sequel to 1989's Batman, with Michael Keaton reprising the lead role. Batman Returns tells the story of a corrupt businessman (Christopher Walken) and the grotesque Penguin (Danny DeVito) plotting to take control of Gotham City. 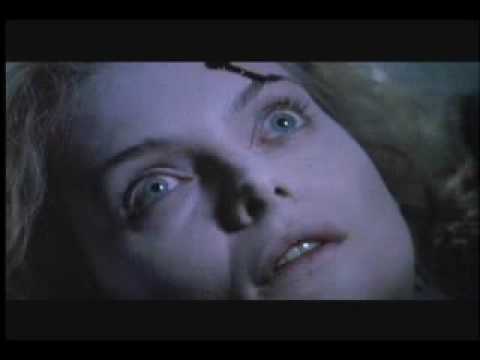 At the same time Batman must deal with the emergence of Catwoman (Michelle Pfeiffer). Burton originally did not want to direct a sequel because of his mixed emotions of the previous film. Daniel Waters delivered a script that satisfied Burton. Wesley Strick did an uncredited rewrite, deleting characterizations of Harvey Dent and Robin and rewriting the climax. Filming started at Burbank, California in June 1991. Batman Returns was released to financial and critical success.